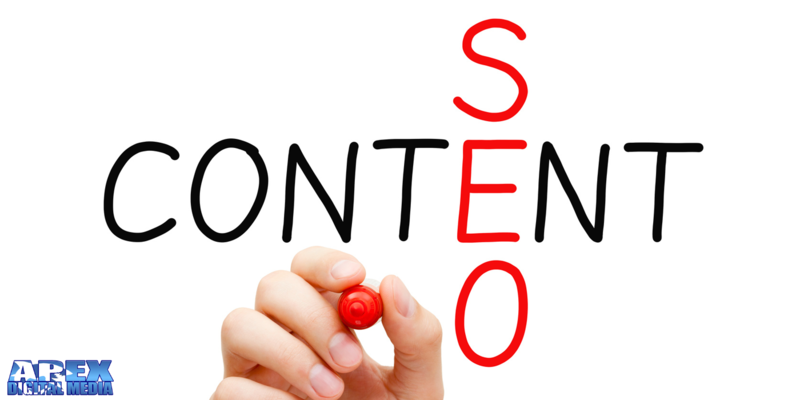 Content and SEO are undeniably intertwined in today’s online ecosystem. To be a good content marketer you need to understand SEO. To be truly great at SEO you need to understand content marketing. 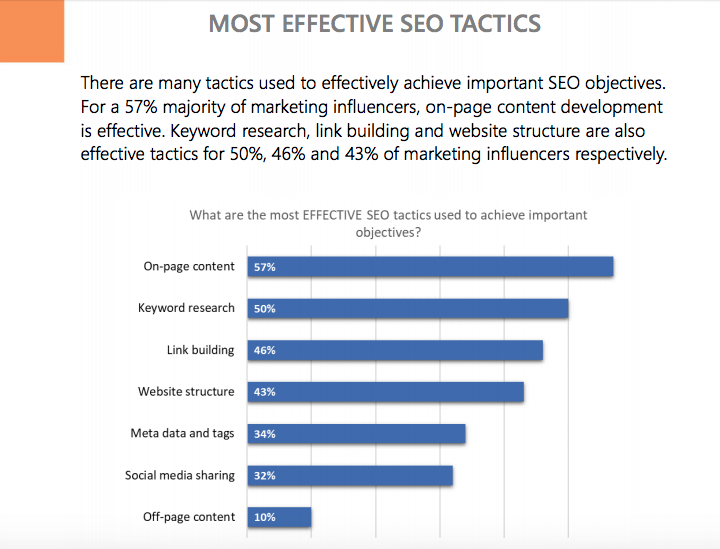 If you doubt the value or effectiveness of content on any level I urge you to read this report by Ascend 2 on “The Most Effective SEO Tactics.” Here you will clearly see how content and SEO work together. For a 57% majority of marketing influencers, on-page content development is effective. This ranks it as the most effective means of SEO. Organic search is still where the largest amount of traffic is available. Some may argue that the user intent behind search is also the most valuable type of traffic out there. A person who is searching for something is more likely to click through and interact with your brand once they find it. Think about it, if you are optimized for keywords like “buy a car” and you’re an auto dealership – you’re sitting in a great spot. A person searching “buy a car” is more than likely looking to buy a car. This principle gets a bit more dicey once you move to venues like social media or banner advertising. It’s been proven that there isn’t much real intent behind banner clicks. Some studies have even found blank banners actually get more clicks than banners with actual images on them. Go figure. Knowing what you know now, content – search engine optimized content should be your core discipline when it comes to marketing. Content can take on a variety of forms. It can be blog posts, it can be video shorts, it can be long videos, infographics, etc. Google’s algorithms pay close attention to several factors when ranking web pages. One of them is shelf life. If you have a search optimized piece of content that’s shinier and newer than someone else’s the chances are good you will get some quick visibility from that initial publishing. On the other hand, sites that have been up longer tend to have a larger amount of backlinks as a result. So content is both your long and short game – new content gets you visible quickly, and the proliferation of content day after day spreads your brands tentacles out into the web… making you visible in corners of the web you never even dreamed existed. While keyword optimized articles like this one are a great way to get your foot in the door don’t forget the future is video. YouTube is also the world’s 2nd largest search engine. So think about this – if you have a keyword optimized article, with a keyword optimized video embedded in it – you’re now double visible in both Google search and YouTube video search. Images are another area that is heavily overlooked by marketers. Google Image Search gets a huge volume of searches. If you are not optimizing your images with alt tags and making sure they are visible in search you are missing out on another big stream of potential traffic. Due to mobile use and several other factors click through rates are declining in search. So while SEO can help you be visible how do you get the user to the page? The smart money is on Google Rich Answers – which will allow you to pipe elements of your content directly into the SERP via SEO tactics. Area’s like this are why just knowing how to create content isn’t enough in today’s world. You have to have a little bit of science behind you as well. So as you can see, content and SEO are very closely linked. Any wise marketer knows how to combine these two disciplines for maximum effectiveness. If you need help with your digital marketing don’t hesitate to contact us!